Essie White started her literary career by focusing on those for whom the literature was written: Children. She received her Bachelor of Arts degree in Education with per primary focus in Special Education. When working with special needs children, struggling with language, she discovered the beauty of words, and the rhythm of a well composed story, engaged them. She later went on to teach traditional elementary students and found that reading was best achieved, when a good book was the focus, not the specific skillset. While expecting her third child (she has four), Essie completed her Masters of Arts in Education, specializing in Curriculum and Instruction for Early Childhood Education. That’s when her real journey with books began. Using quality children’s literature as the foundation, she began creating curricula for local and national homeschool groups as well as independent preschool organizations. For each subject, each topic, each thematic unit, she used a book as the starting point. When teaching, she read a book to begin each lesson. And when writing curriculum, she utilized a book as the launching pad for each learning objective. A few years later, and with her youngest daughter as the inaugural student, Essie used this combination of skills and passions, to start her own early childhood development program. Still in operation today, after seventeen years, the school serves over 110 students daily in the Seattle, Washington area of the United States. Although Essie is no longer managing the school on site, each lesson, each day, still begins with a quality children’s book. Fueling not just their creativity but also their emotional and intellectual growth, Essie understood the power art played in the development of small children. She became accustomed to including art activities as complimentary lessons to the literary ones. Her passion for exceptional art grew as a result. She witnessed the impact of stories told through beautiful pictures, both the stories the children created, as well as those she shared with them in books. When she relocated to Minneapolis, Minnesota, and entrenched herself into the local children’s book community, Essie started receiving inquiries from local authors, asking about the path to publication. A lot of research later, as well as a lot of work, Essie decided to open her small agency with the hope of ensuring capable artists and authors, could eventually get their work seen by editors and publishers. Storm Literary Agency was subsequently launched in 2014. Essie White is most proud, not necessarily of the agency’s work, but of the individuals that compile that agency. She is thankful and appreciative of the efforts of those members who work hard to support one another, and to represent the best in children’s publishing, always mindful of those whom reap the benefits: Children. Please follow Essie’s submission guidelines. 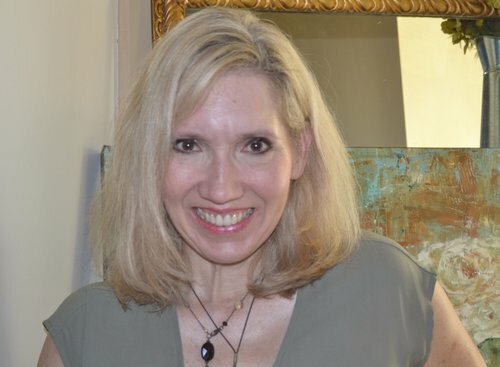 Victoria Selvaggio, previously with The Jennifer De Chiara Literary Agency was drawn to the publishing scene first as an author. She is a prior Regional Advisor for SCBWI: Northern Ohio, where her desire to help writers and illustrators reach their publications goals inspired her to become an agent. Victoria's previously received submissions: While lots of updates are happening behind the scenes, Victoria is closed to submissions (except for conferences, events, contests, and/or anything she's agreed to remain open for), so that she can respond to everything that she currently has and/or has requested. Anything received before March 22, 2018 is now being considered by Victoria for Storm Literary Agency. Please follow Vicki’s submission guidelines. Jacqui Lipton has been an avid reader since elementary school, back in the days when “YA” wasn’t even a thing. Her tastes were always broad and eclectic. She loved (and still does) everything from a good murder mystery to space opera to contemporary romance and everything in between. Jacqui is currently seeking submissions for middle grade and young adult, both fiction and nonfiction. While she’ll consider all genres (so please send anything! ), she has a particular interest in science fiction, a good contemporary romance, retellings of classic stories, and mysteries of all kinds. She’ll consider fantasy and urban fantasy, although (sorry to say) dragons and high fantasy aren’t really her thing so if you’re the next George R.R. Martin, you might be better off submitting to someone else! Some of her favorite authors (in no particular order) are Jennifer Armentrout, Sarah Rees Brennan, Cassandra Clare, Holly Black, Rainbow Rowell, Maggie Stiefvater, Cori McCarthy, Amy Rose Capetta, Alex London, Rick Yancey, Neal Shusterman, Brandon Sanderson, John Scalzi, Nova Ren Suma, Cynthia Leitich Smith, William Alexander, Brodi Ashton, Lynne Matson, Rebecca Stead, Tahereh Mafi, Francesca Zappia, Julie Buxbaum, Octavia Butler, Sharon Cameron, Shaun David Hutchinson, Adam Silvera, Megan Miranda, Gayle Forman, Brenna Yovanoff …. Seriously, the list goes on forever …. Just send your best work. Really. Please follow Jacqui’s submission guidelines. Heather has always loved literature. Surrounded by books from her earliest memories, she read picture books, biographies, poetry, and all genres of fiction. While she devoured any book that told a good story and introduced a new world, she especially loved the ones that made her want to be the heroine of her own life. As Heather grew up, her work in Biochemistry inspired her imagination for creating worlds. Writing for enjoyment turned into an interest in improving craft. Heather has always loved meeting authors and working on their books as a collaborative partner. She was a professional editor for Cornerstones Literary Consultancy, editing middle grade, young adult, and adult books. She’s also helped authors by working as Managing Director of Pitch Wars, #PitMad, and Pitch Madness, as well as being a Pitch Wars mentor. Before becoming an associate agent at Storm Literary Agency, Heather interned for three years at The Bent Agency and Entangled Publishing. She’s helped authors from the pre-query stage to acquisitions, and she’s also worked as a freelance editor and consultant for traditional and non-traditional publishing. She’s excited to continue helping authors as their agent. Heather is currently seeking submissions for middle grade and young adult. For fiction, she’ll consider all genres and loves a good genre splice. For non-fiction, anything that takes her back to those days in the library when she wanted to learn about someone, something, and somewhere new. For all writing, Heather enjoys unique characters formed from their own experiences in a unique world. The characters need to feel real with a distinct voice from the first line. Thematic elements and strong character arcs are a must. She loves commercial fiction that has a literary flair and inclusive books that bring us together as citizens of the world. Some of her favorite authors: Anne McCaffrey, Terry Brooks, Judy Blume, Dr. Seuss, Shel Silverstein, Gary Paulson, Roald Dahl, Lord Byron (so much love for Prometheus Unbound, especially), Orson Scott Card, Beverly Cleary, Dean Koontz, Rainbow Rowell, Pierce Brown, Leigh Bardugo, Maggie Stiefvater, Holly Black, and so many more. Please follow Heather’s submission guidelines. Lauren Lindsey White has had a lifelong passion for reading. As a young child, she was entranced by the storytelling of Arthur Conan Doyle, Emily Bronte, Robert Louis Stevenson and Tolkien. Over time, her literary interests grew as she was introduced to the works of Toni Morrison, Sam Shepard, Samuel Beckett, Joy Harjo and Nayyirah Waheed. Lauren graduated with a degree in Classical Literature and Theatre from Fordham University and then headed to Dublin, Ireland to study at Gaiety. Lauren has worked as a teacher, tutor, library educator and literary research assistant so, focusing on literature, especially children's literature, felt like a natural transition. Lauren is also a writer and performer whose plays and poems have been performed and produced at many NYC theatres including: The LAByrinth Theater, Theatre Row, Ensemble Studio Theater, Maggie Flannigan’s Studio, Nuyorican Poets Café, Sidewalk Café, Grounded. Her one-woman show, "Lauren White Wants You" was recently produced as part of the United Solo Festival after it premiered in a sold out run at the Dublin Fringe Festival in Ireland. Lauren remains passionate about literature and relishes the opportunity to ensure manuscripts are the best they can be. She looks for the genius in the work, and strives to ensure those with whom she works, create the best story possible. Her expertise is in middle grade and young adult literature. Lauren is not open to submissions at this time. Anthony Selvaggio has, from a young age, consistently maintained two passions: the passion found in getting so caught up in a story that he could not put the book down and the passion found in his own artistic expression and creation. Graduating with honors from the Ohio State University’s Knowlton School, Anthony possesses a Bachelor of Science in Architecture. Also earning a Minor in Urban Planning, he has had great interest in focusing on community development and supporting safe, stimulating spaces throughout the Midwest. While pursuing this degree, he also had the opportunity to participate in several Study Abroad programs; studying throughout continental Europe and experiencing the fantastical stylized settings of Barcelona, Berlin, Paris, Prague, Rome, Venice, and Vienna. From this lifelong passion in design and spatial organization, he has an immense understanding of the complex systems needed in fostering an immersive environment, whether that be conceptually (i.e., the setting in a story) or physically (i.e., a constructed space). With five years of professional experience, Anthony has been an Architectural Intern, an Editorial Intern, an Interior Designer, and a Home Renovator. When it comes to literature, Anthony is drawn by dynamically thrilling stories. These include the likes of John Berendt’s Midnight in the Garden of Good and Evil, China Mieville’s The City & The City, and Haruki Murkami’s Kafka on the Shore. Anthony is not open to submissions at this time. Liz Eriksson has nearly ten years of experience in the Publishing industry. Liz has previous experience with trade and educational publishers. She has worked in many fields in the industry including Marketing, Editorial, Sales, and legal. Liz is passionate about all things publishing and is a member of the National Contract Management Association. In her free time, you will most likely find her reading books to her kids or spending time outside with her family. Liz is not open to submissions at this time. Storm Literary Agency is pleased to partner with a Development Executive and Independent Producer with extensive experience identifying, developing, and packaging winning stories. With an international network of professional contacts - talent agents, studio executives, book agents, screenwriters, directors, authors, independent producers and film/television/digital production companies - it allows for facilitating the best creative process, resulting in increased high-profile submissions. Storm Literary Agency is pleased to announce a new partnership soon!